The medium of print has a long history, yet the artists started embracing it on a larger scale only with the rise of Modernism during the late 19th century, with one of the most prominent practitioners of print and the man who extended and enriched it being Henri de Toulouse-Lautrec. Later artists such as Picasso, Escher, and Miró worked with lithography, while the avant-garde practitioners such as Josef Albers and his Bauhaus peers experimented more with silk printing, a technique which became increasingly popular during the 1960s and the rise of Pop Art. These are just a few fragments of the vast history of print, which suggests that the artists were and still are very much drawn to it. Therefore, we have prepared a top list of nine exceptional prints which you can add to your collection. Featured image: Jill Moser – Soft Assembly 3, 2003. All images courtesy of their respective galleries. The first artwork on our list was made by the American artist Richard Estes. This figure is one of the most prolific practitioners of the 1960s Photorealism, along with Chuck Close and Audrey Flack. Estes is not focused on everyday objects, but on expressive cityscapes and geometric landscapes. 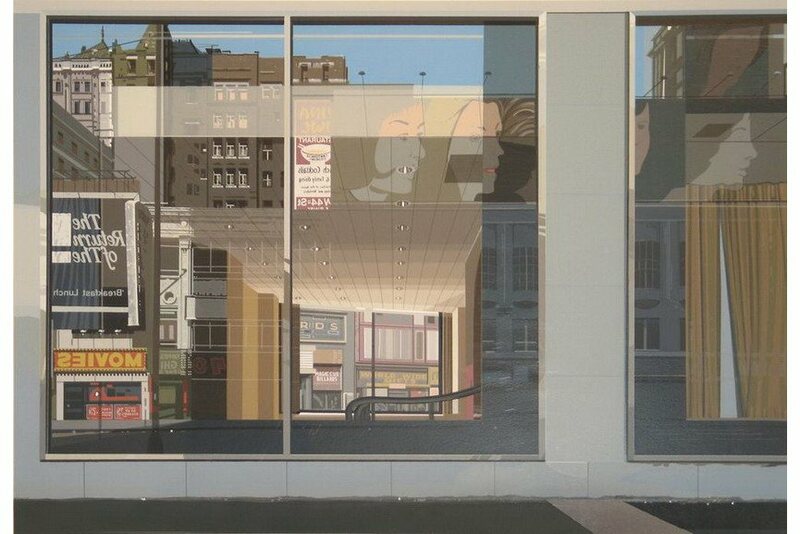 This particular print features a polished glass window reflecting surrounding buildings, window-shops and commercials. It was produced by Estes in 1981 and it shows also the changing scenery of the city. 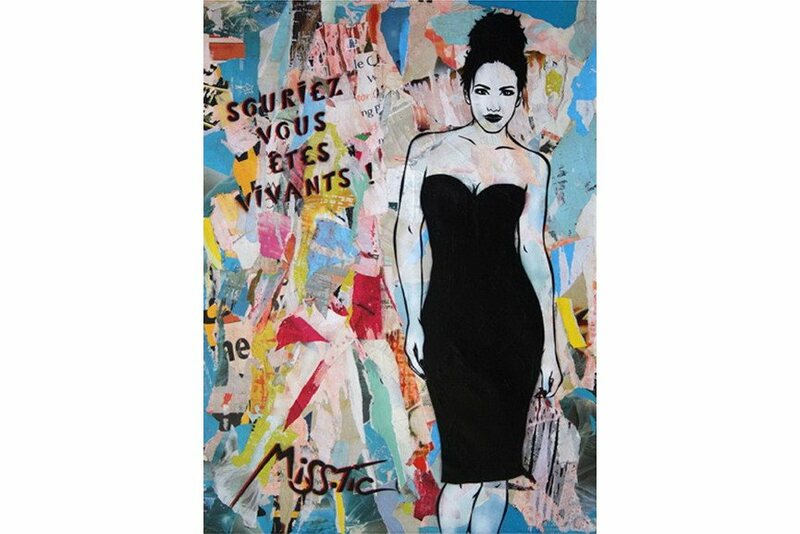 Next up is the work of the famous Parisian visual artist and poet Miss.Tic. She is one of the pioneers of street art in France, and her practice is best known for signature stencils of a dark-haired woman accompanied by various statements. Miss.Tic is an urban art icon who has exhibited her works internationally and she also worked for various brands such as Comme des garçons and Louis Vuitton. Souriez vous etes vivants is a quintessential Miss.Tic work, which perfectly illustrates the domains of her practice. Australian artist Kate Shaw expresses herself mostly through collage by exploring the representations of the natural world and our relationship to it. By combining paint and ink, Shaw creates outstanding compositions reminiscent of natural phenomena such as lava, landslides, or avalanches. Orb * with Lights on is a beautifully done landscape in the sunset reflecting in the water. 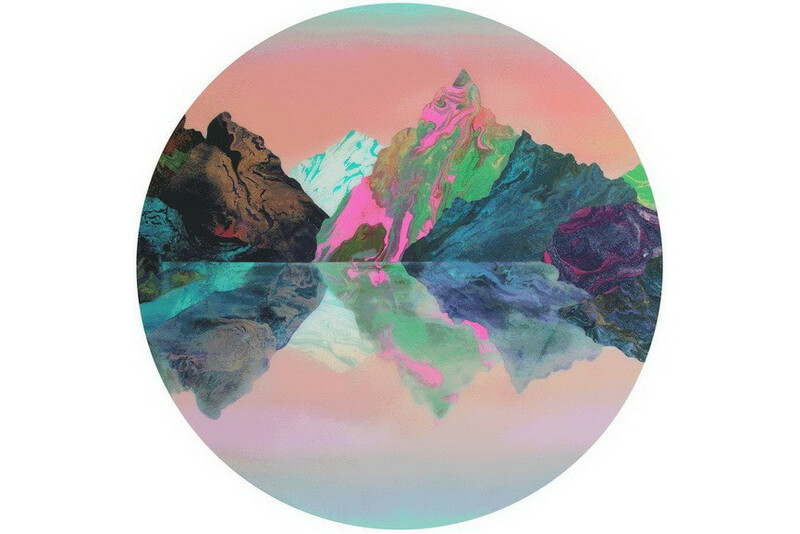 Billy Ma is a Taiwanese-born Canadian artist who started exploring his artistic interests via digital illustrations. The images became increasingly popular on social media, so Ma received inquiries from the buyers and then he launched the printing brand called Booda Brand. The personal style of Ma is characterized by a mix of eastern and western aesthetics, spirituality, socio-political issues, and humor. The stark and slightly mysterious print called Aequitas Romantica (Socio-Politicking Series) was produced by Ma in 2016. 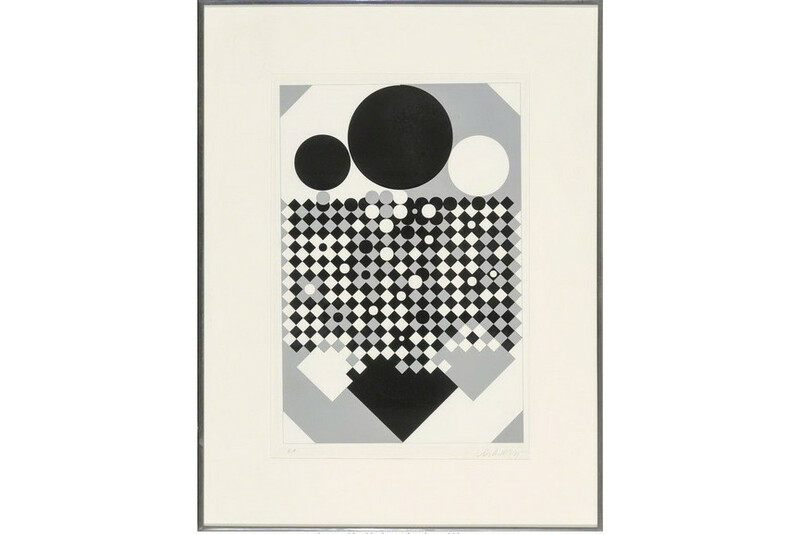 Following up is the print made by the famous Victor Vasarely, the founder and leading promoter of the Op Art. 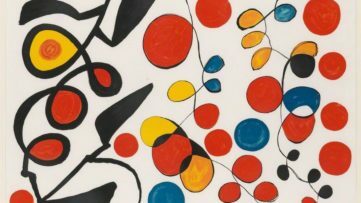 His images and the optical effects they cause are quite something; from the early works he made while working as a commercial graphic designer in 1930s-40s Paris, to his final works released while developing and what he believed would become a new visual language for art and architectural design. 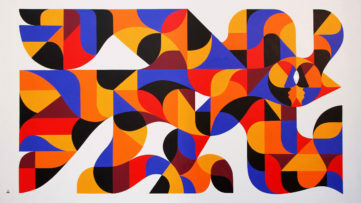 By combining utmost technical precision with a scientific awareness of optical and geometrical effects, Vasarely created an impressive body of work (including grid-like paintings and sculptures of the 1960s onwards), which engaged the viewers and do not leave them indifferent. 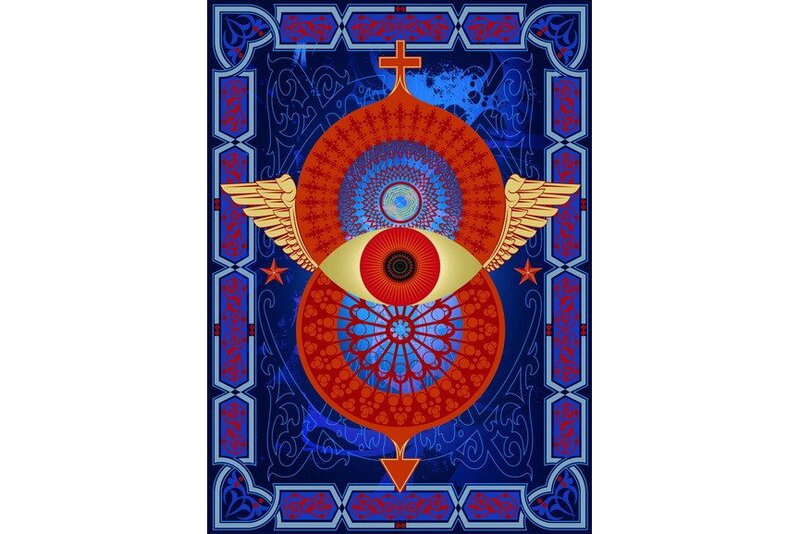 The print Antares was made by the artist in 1970. 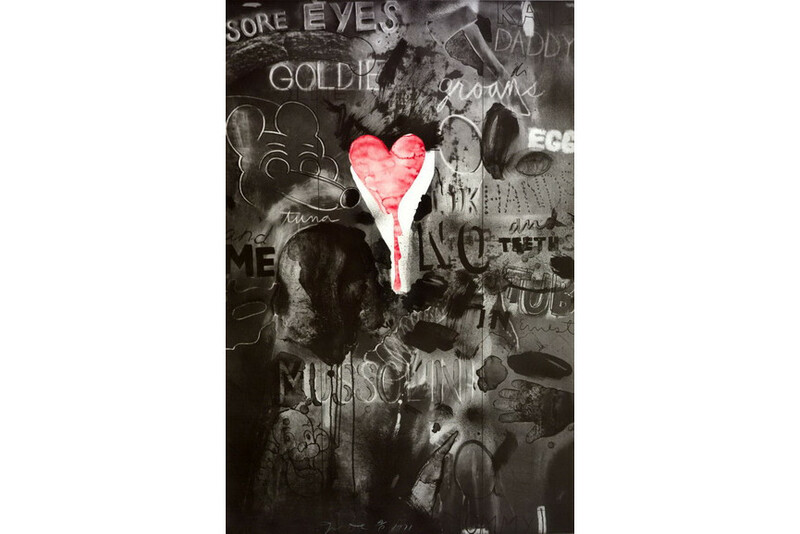 One of the best-known proponents of Pop Art, Jim Dine expressed himself through painting, printing, sculpture, and even poetry. Dine was an extremely innovative artist and was focused on deconstructing the constraints of the media he worked with. The artist explored various themes; however, mostly he dealt with persistent personal identity, memory, and the body. This particular print pays an homage to the great Surrealist Francis Picabia. Jill Moser is an American artist who gained fame in the 1980s for her strongly gestural paintings and prints. Her entire oeuvre is based on the exploration of abstraction, so she is focused mostly on looping curves, color saturation, and evanescence. As a matter of fact, her practice is based on a dialogue between printmaking and painting. The print allows the artist to explores a mechanical process between her hand and the image allowing her to re-encounter her own gestures. 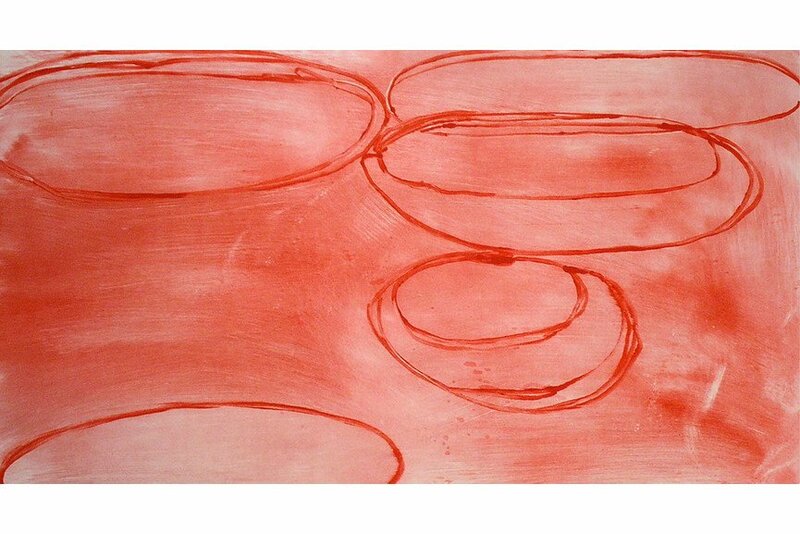 Soft Assembly 3 was made in 2003 and although simple, it is an expressive print based on purified forms and repetition. British artist Hannah Perry is mostly working in installation, print, and video. By appropriating numerous references and drawing inspiration from personal experience, she creates powerful works reflect the distorted reality effected by technology. To be more precise, Perry is questioning how human interaction became largely commodified by the digital. Keep in Touch is a print made by the artist in 2018. The last artwork on our list was produced by the British artist Russell Young who gained international recognition for his large silkscreen paintings exploring the recent history and popular culture. Since the late 1970s, Young started photographing the burgeoning underground music scene, especially bands such as Bauhaus and the Smiths, and his photos were used for covers of the iconic 1980s magazine BLITZ, as well as albums of various bands. 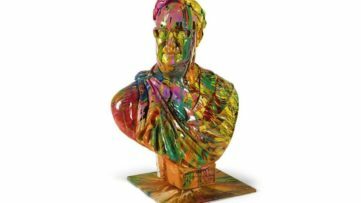 Since the 1990s the artist expresses himself through painting, but sculpture, installations, and film as well. 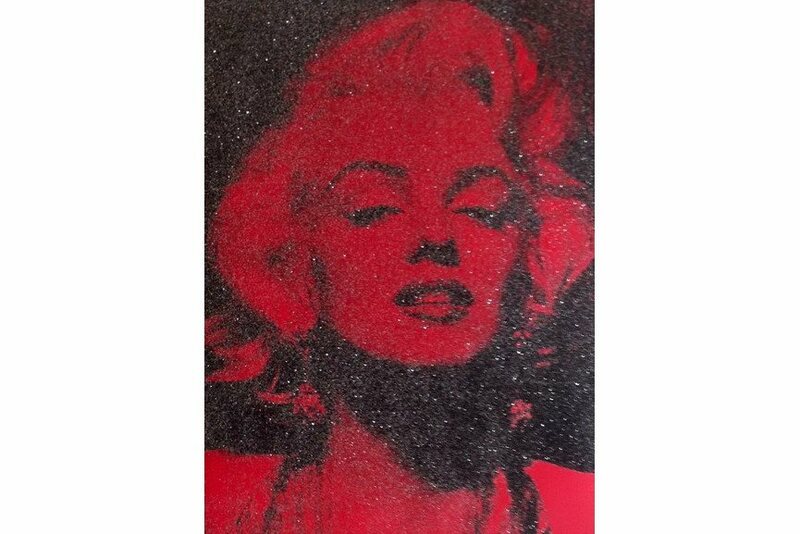 This particular print is an homage to Marilyn Monroe, as well as to Warhol’s memorable series.